Since the acquisition Vibroplex has sold the classic "N2DAN Mercury" and "Hex" paddles but as of 01/01/19 they are out of production. Check the Vibroplex web site www.Vibroplex.com for more details. It may take awhile for the thumbnail images to load... please be patient! Click on the pictures to view in full size. 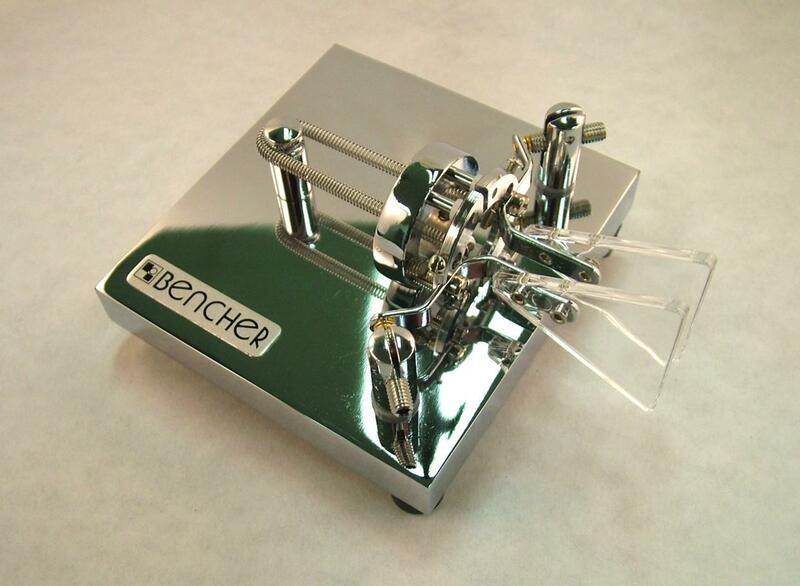 The classic cantilever design features gold plated hard silver contacts, self-locating nylon bearing seats with precision stainless steel needle bearings, continuous spring tension adjustment, precision adjustable contact spacing, and comfortable molded acrylic fingerpieces. The BY series bases measure 4" x 5" and paddle height is 2-1/4 inches. The paddle weighs 3 pounds (1.4Kg). 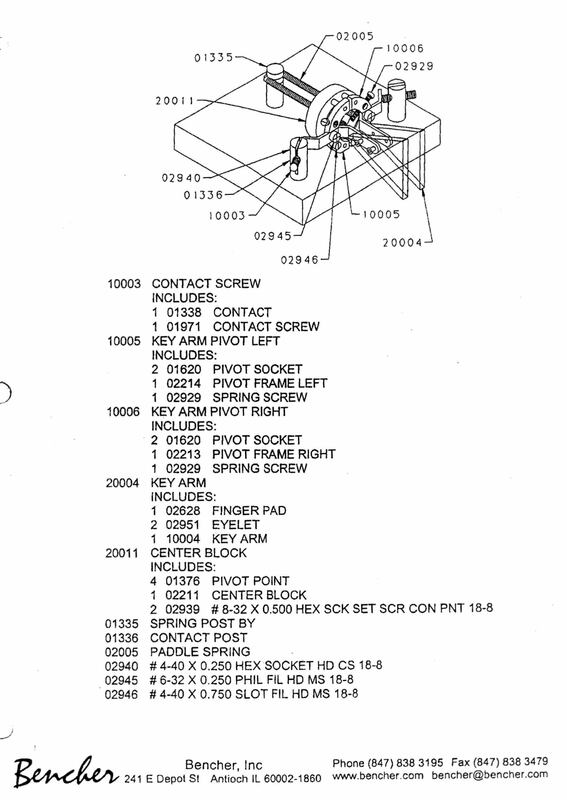 Click here for a pdf parts drawing for the BY paddles. There is a scan of Bencher's instruction sheet here-- note the English instructions are the top half of page one, followed by instructions in French, Spanish, and German. 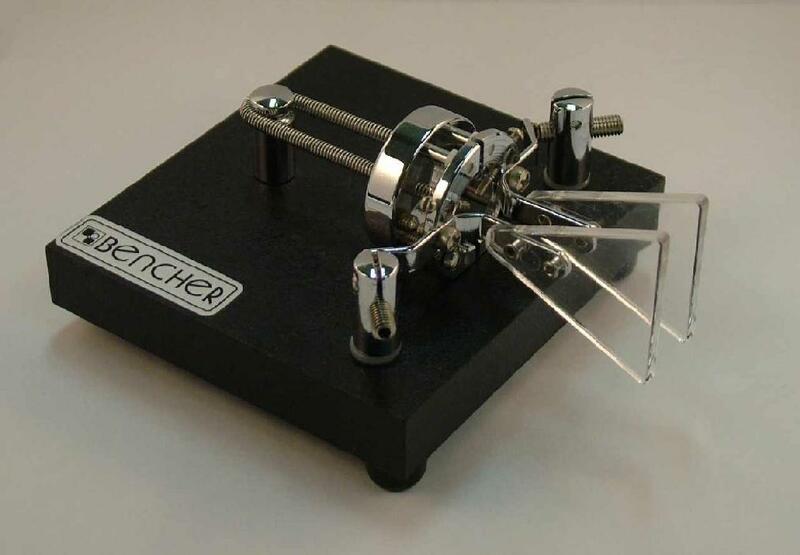 Many users have found N1FN's Instructions for Adjusting Bencher Paddles to be easier to use. 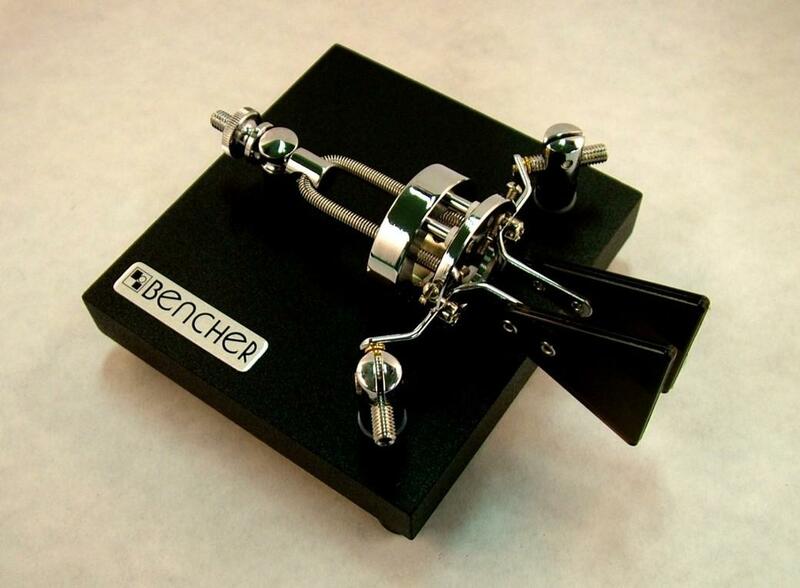 The classic cantilever design features gold plated hard silver contacts, self-locating nylon bearing seats with precision stainless steel needle bearings, continuous spring tension adjustment, precision adjustable contact spacing, and comfortable molded acrylic fingerpieces. Bases measure 4"W x 5": x 2-1/4H and paddle weight is 3 pounds (1.4Kg). A superb example of the classic hand key, this new Bencher offering is a modern design featuring the finest materials and craftmanship. Oil-impregnated sintered bronze bearing pivot points impart friction-free movement and wobble-free vertical tracking. The "Navy" style knob (skirt is removable) provides outstanding tactile feedback. Stainless adjusting screws allow for individual preferences of arm height, tension, and contact spacing. The heavy steel base with durable black powder-coating or chrome finish features anti-skid rubber feet for stability. The RJ keys measure 3"W x 6"L x 1.75" high and key weight is 2 pounds (.9Kg). 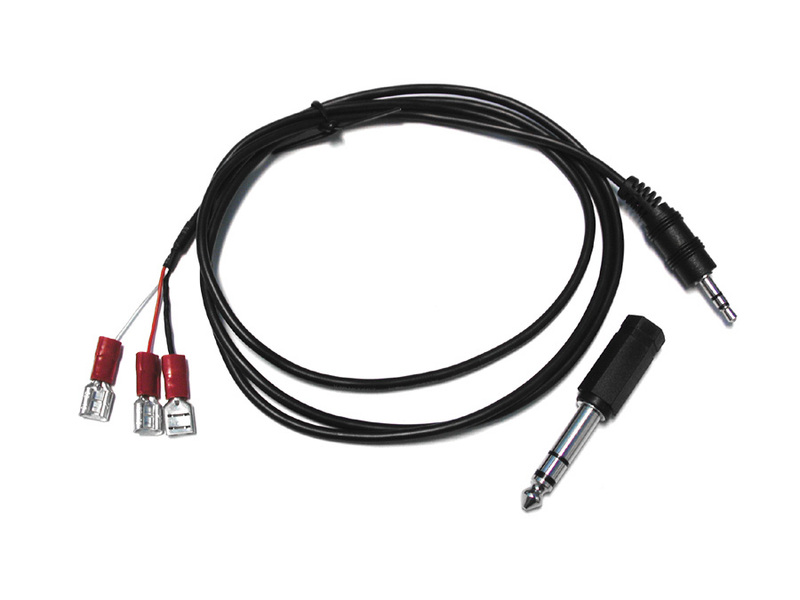 Shielded cable with molded 1/8"stereo plug, 1/8 - 1/4" stereo adapter, push on terminals to match the ones on Bencher paddles and keys..
You can use this parts list-- BY PARTS -- to determine specific part numbers for the BY series paddles (most parts are the same for both BY and ST models). BE-BY1003 Contact Screw for BY/ST series paddles. ight. Now to get it hooked up and wiggle my fingers. 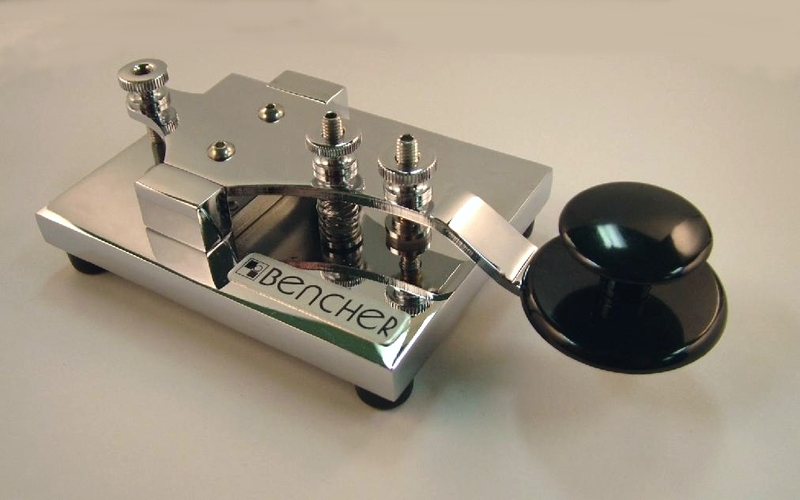 If you are a user of Bencher equipment, your comments could be here! we can use your comments on the web page.